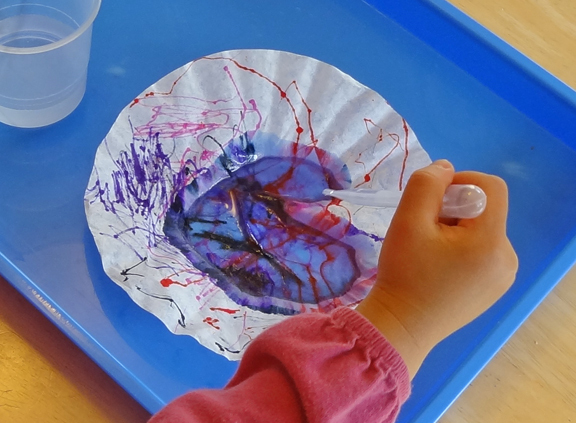 This is a super simple activity that serves as both an art project and a science activity. 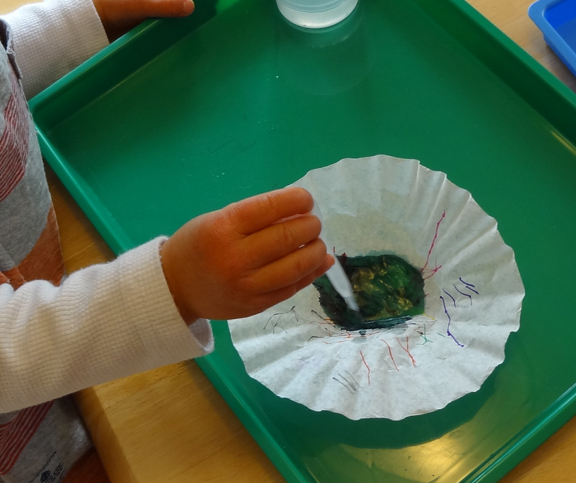 In creating some beautiful coffee filter art, children get to see a scientific phenomenon called chromatography in action! Chromatography is the separation of a mixture (e.g., marker ink) by passing it in a solution (e.g., water) through a medium (e.g., coffee filter) in which the components of the mixture (e.g., the various colors that make up any given marker color) move at different rates. Note: For more art activities, see my arts and crafts for kids page. 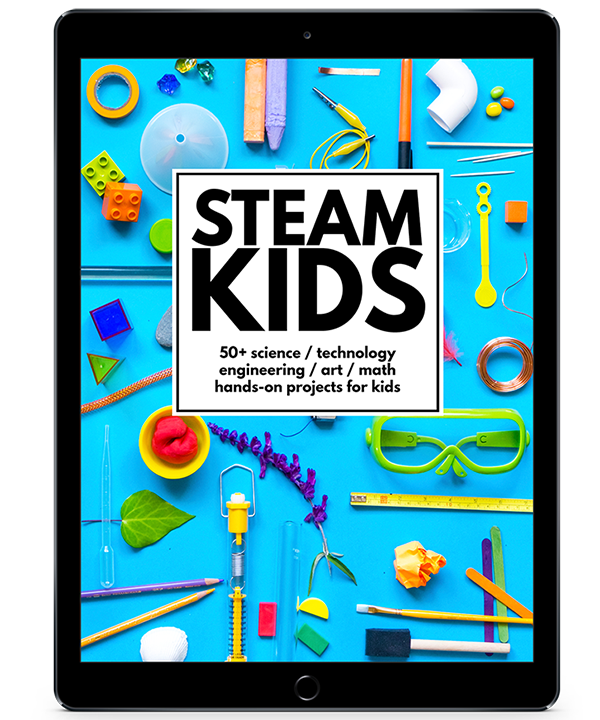 For more science activities, see my science activities for kids page. 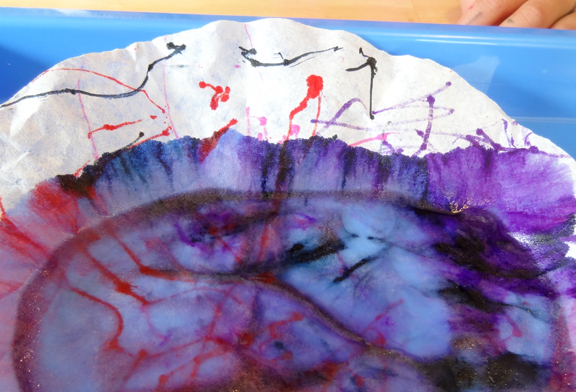 I invited the kids to draw on the coffee filters using the markers. 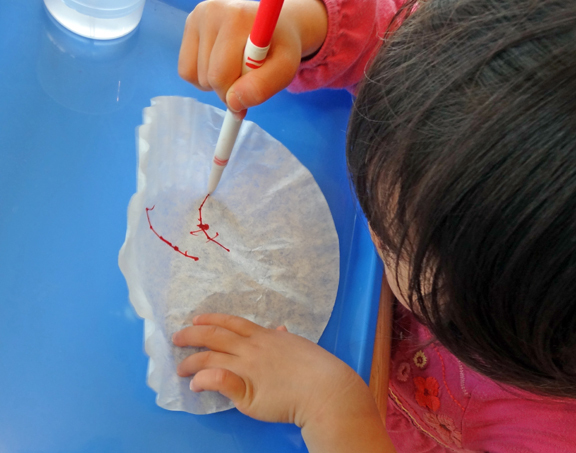 Then they used the plastic pipette to drip water on to their drawings. They watched as the water made the color in the markers spread. Here is a resource where you can learn more about chromatography. Ah yes, trying to get children to use “just a little water” .. I know how that one goes! 😀 So much fun though! Coffee filters are so great for making things. Love what you did here! This is great! Pinned it! Thanks for sharing at TGIF! Thanks for stopping by, and enjoy the activity! 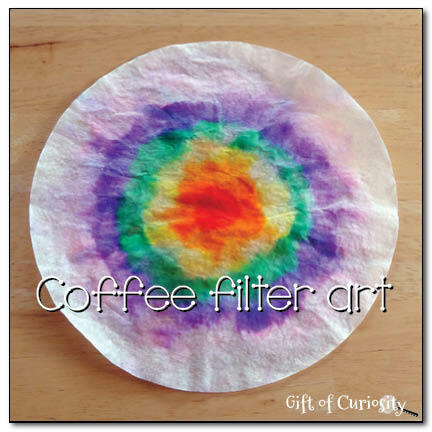 Coffee filter art is one of my fave activities! I’m featuring this on this week’s Sunday Showcase – thanks for sharing with us. Glad you enjoy and thanks so much for featuring our activity. 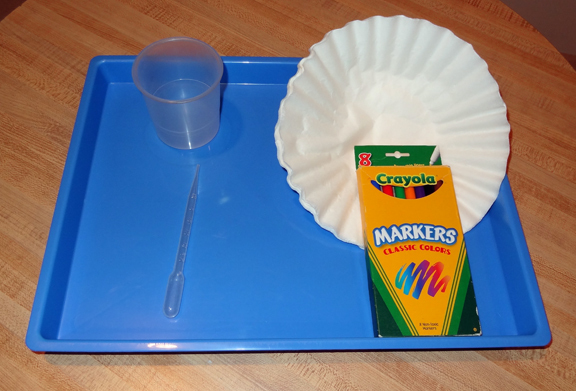 We enjoy coffee-filter art too! Thanks for sharing with us at Eco-Kids Tuesday! I featured you today! try using a spray bottle too! they still will use too much water, but it’s a nice effect also! Oh yes, I’ve since tried it with a spray bottle and it’s a nice effect indeed!